Casa Castle is a most amazing and unique Tenerife villa and what memorable holidays are made of. 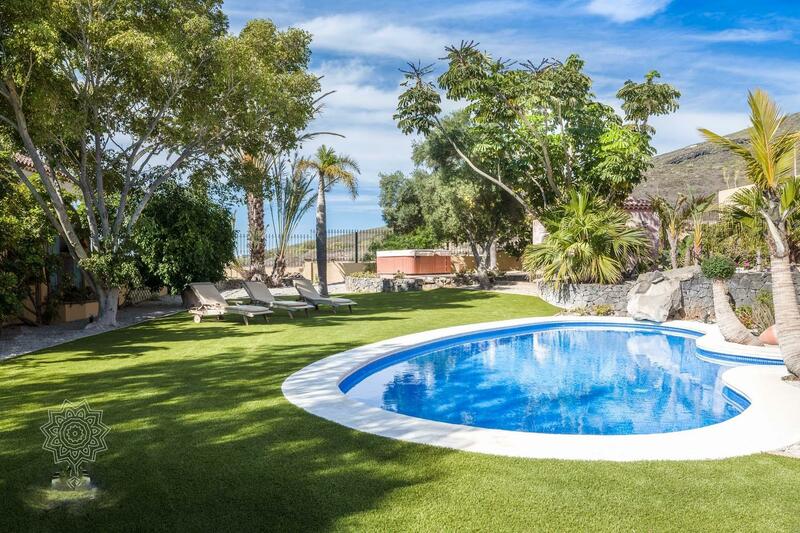 Set within its own huge grounds covering 1300m2 the villa sits impressively in the lovely location of Adeje, with sea views down over Las Americas. 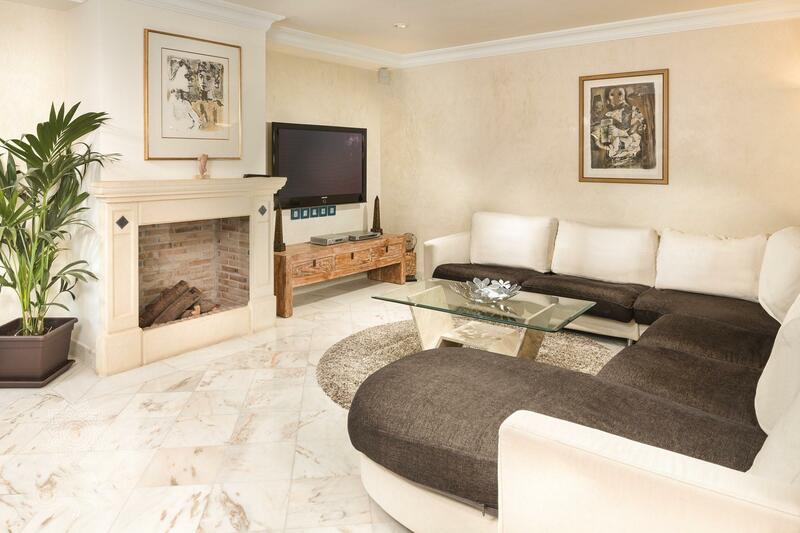 Of the very highest quality this luxury Tenerife villa offers 4 bedrooms, a lovely heated pool, hot tub, sea views and large landscaped gardens. There is even free broadband internet access too. 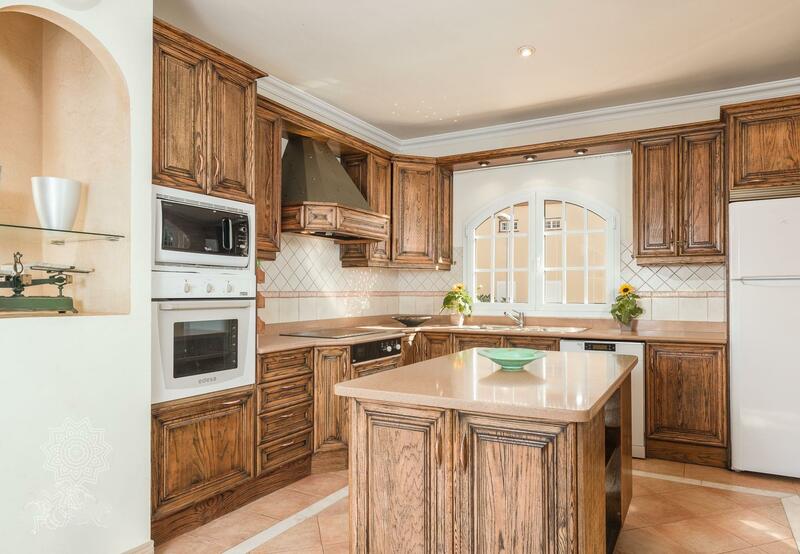 This property is ideally located in the urbanisation Los Olivos, in the exclusive principality of Adeje, South Tenerife. Adeje is home to some of the best beaches on the island, including the gorgeous "Playa Del Duque" which is only 5 minutes drive away. Here you can not only enjoy a beautiful beach but designer shops and classy restaurants too. 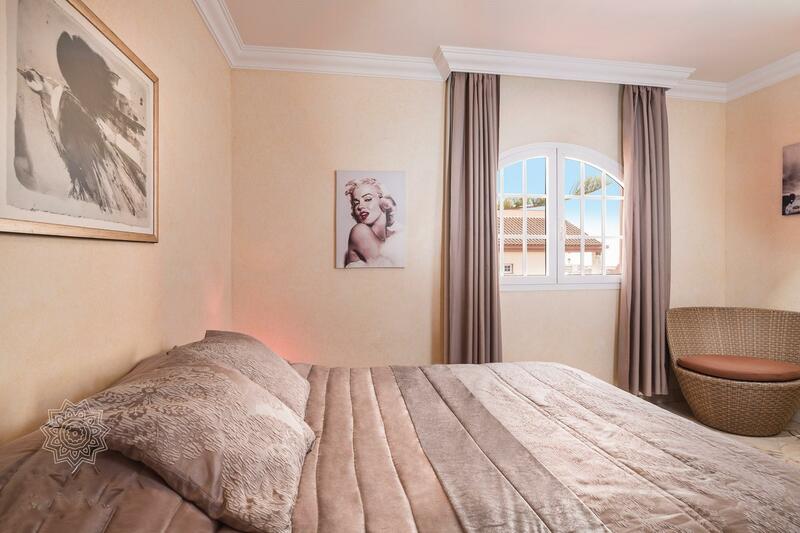 The bustling resorts of Las Americas and Los Cristianos are both within a 10 minute drive and for this who like life at a slower pace, the quaint fishing village of La Caleta with its lovely sea front restaurants is less than 5 minutes away too. For those golfers amongst you, the championship course at Costa Adeje is just a couple of minutes away, and the course at Las Americas can be reached within 10 minutes. 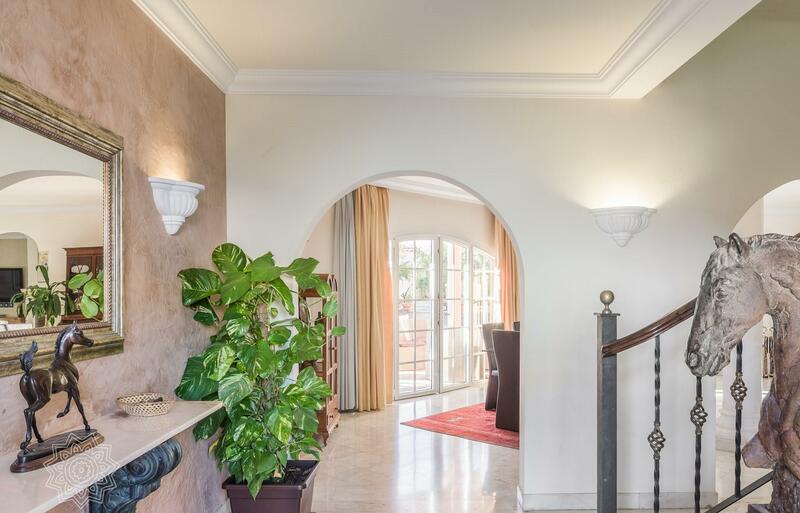 "Casa Castle" is a gorgeous luxury villa to rent in Adeje, Tenerife and Tenerife Holiday Homes believe it has the quality and the location to appeal to all tastes and requirements. Kitchen: In the fully fitted kitchen you will find a full size oven and hob, a microwave, a tall fridge/freezer, dishwasher, electric kettle, toaster. Separate utility room with washing machine and dryer. Office with internet access. Downstairs toliet. Bedrooms: The bedrooms are very large and are all upstairs. 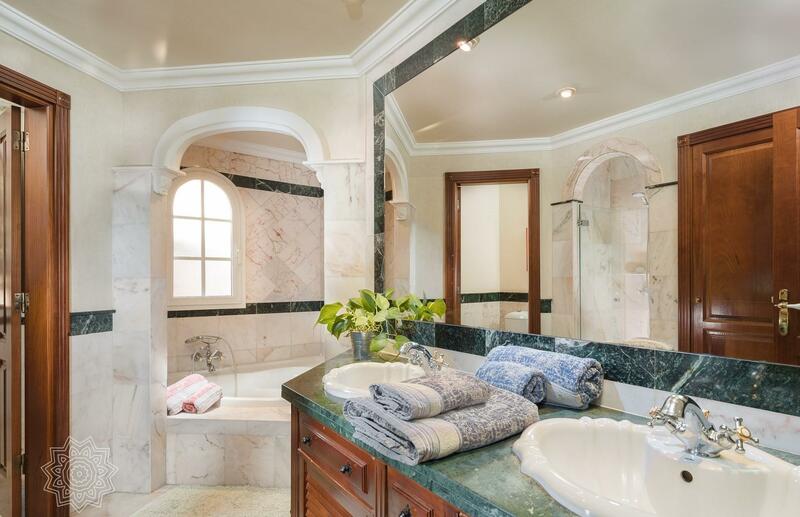 Master bedroom - double bed, dressing room, ensuite bathroom with shower and jacuzzi. Second room - double bed, ensuite bathroom. The third room has a double bed and the fourth room has twin beds. 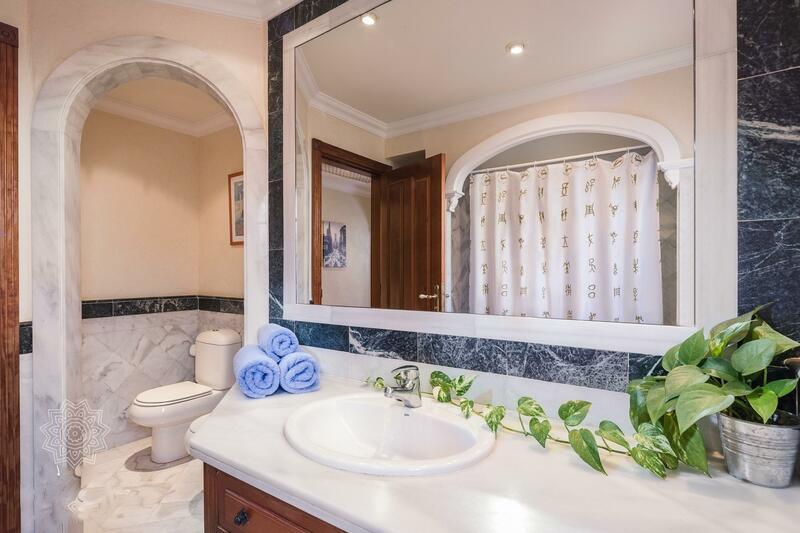 These rooms share a bathroom. 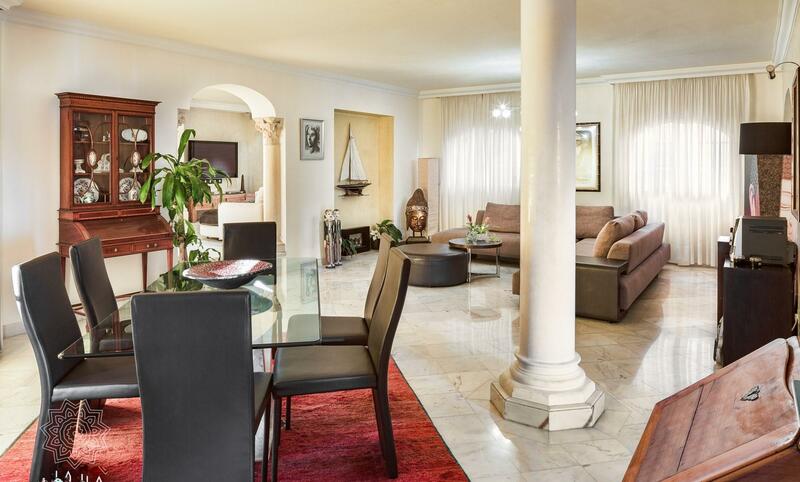 Villa Grounds: Huge 1300m2 grounds with lovely large pool, hot tub, sea views, various sun beds and patio furniture, landscaped gardens, barbeque. Secure and private gardens. The pool can be electrically heated - please see extra pricing below. 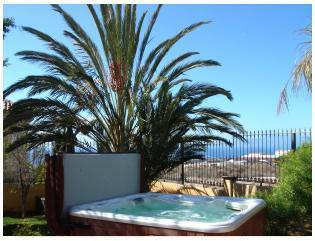 20 / 25 minutes from Airport, 5minutes to Los Cristianos and Playa de Las Americas (by car). A welcome pack can be provided. Towels and Linen change weekly. This apartment is looked after by a local management company. Their contact details will be sent to you when you book. Many people book the villa, reassured in the knowledge that they are close by. They also have a fleet of hire cars that can either be left at the airport or at the Villa. Please enquire further about these services when you have booked. There is a compulsory cleaning fee of 185 Euros that is payable on arrival. Should you require the pool to be heated, you will need to pay an extra 85 Euros on arrival. We have just returned from a 2 week stay at the Casa Castle villa. We were a group of 9 (2 families) and we found the villa perfect for our needs. It was very spacious and very comfortable. We particularly enjoyed the garden and outside space. The pool was lovely, we chose to pay extra to have it heated and found the temperature perfect at all times. The villa was spotless and we were given the option of having it cleaned half way through our stay which we did. We had a small issue of the dishwasher not working, which the villa caretaker did try to get repaired for us but unfortunately that didn't happen while we were there which meant us having to wash lots of dishes (being 9 people) and could of done without that. The kitchen was very well equipped with everything you would need. The villa is situated in a residential area with not a lot around within walking distance so a car is a must. There is a great supermarket just down the road which you can walk to but it's a bit of a drag walking back as its up a steep hill, but very do able... There is also a lovely bakery within the supermarket. With a car though you don't need to drive far to a good selection of villages and beaches. The Siam water park was a big hit with our party and is only about 10 mins away. We thoroughly enjoyed our stay and would highly recommend it. We had an excellent 2 weeks at casa castle which is a lovely villa in a quiet area. We were pleased we had hired a car as without it we would have been struggling to find bars / restaurants etc. The villa itself is very clean with plenty of space. Outside the garden is well kept and the pool is spotless, as is the hot tub. We were met by Tom who was very welcoming and showed us around. The cleaner came mid way through and was again very pleasent. All in all we had a very relaxing time with our children, their partners and our three grandchildren. It is not cheap but is a very nice place. Negatives - we never saw the poolman the first week and had to ring Tom as the water level had dro pped quite a bit. He did come very quickly after being called. Also the barbecue was left filthy and took some tine to clean before we used it. In the villa we were lacking british channels ( tv does not normally bother me but it was the world cup) and had to pick up the football on German tv. Also the shower in the master bedroom has very poor pressure and if there are a few showering together, the water goes cold and pressure disappears and in the kitchen the fridge is not the best as the rubber is split. A lovely villa and a thoroughly enjoyable holiday. A beautiful place to relax and enjoy the sunshine but only 5 mins drive from the main beaches. We found the town of Adeje extremely pleasant including some lovely restaurants with a real Spanish feel. Wow...! 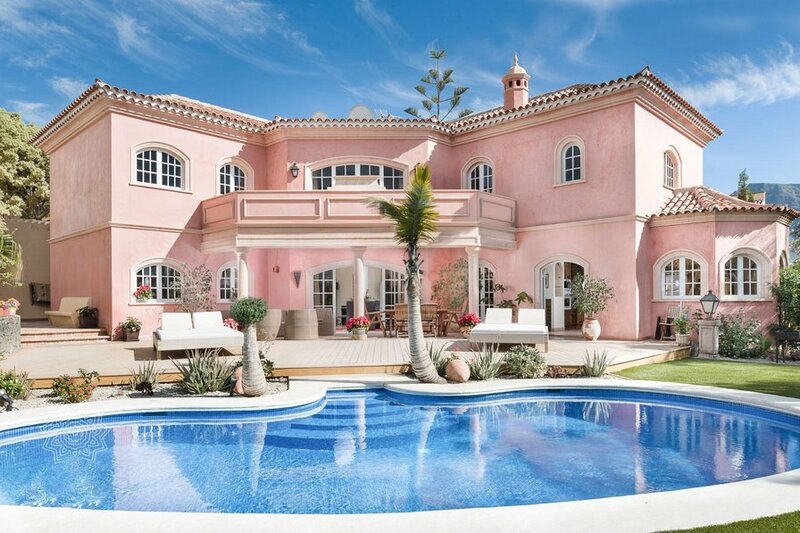 What can I say - what a gorgeous villa! The pictures looked fab on the website but its even better in the flesh. I have stayed in many villas, in many different countries over the last few years and this is easily the best villa I've ever stayed. Immaculate throughout. Great service from local rep who met us at the villa. This was ideal as its such a big property that you really do need to be shown around. We will be back next year without doubt! The property is actually better than the pictures. It is spacious, very private and the the grounds are lovely. You definatley need a car if you want to visit the beach and shops. As the property is up in the hills, if you go out locally the roads are quite steep. highly recommend this property and the owner is lovely and very helpful. Casa Acaymo looks better in real life than it does in photographs. The garden and patios areas with pool really are special and the space within the house and the decor/furnishings are lovely. Plenty of space for two families and in reality we never used half of the space particularly at ground level. 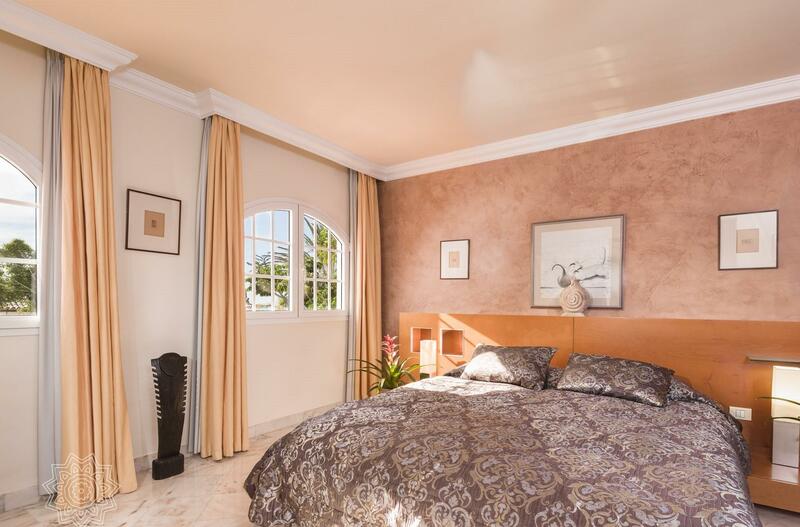 The master bedroom suite with balcony overlooking the pool is both beautifully appointed and spacious. The only downside to this beautiful property is the lack of water pressure which means at times bathing indoors is a problem. The villa has free broadband internet access.